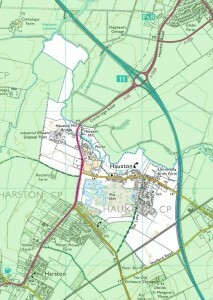 Map showing the Hauxton Parish Boundary. 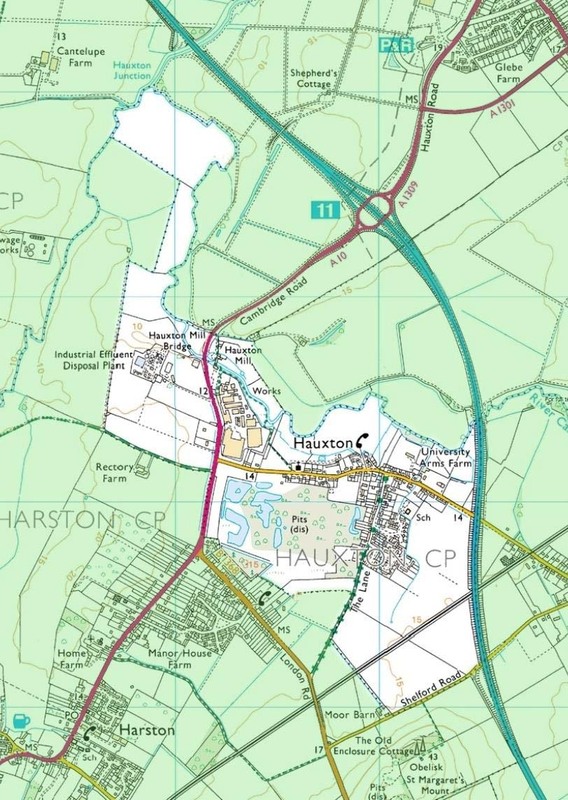 NB The Hauxton parish boundary was extended up to the M11 in 2016. A new map will replace this one when available. 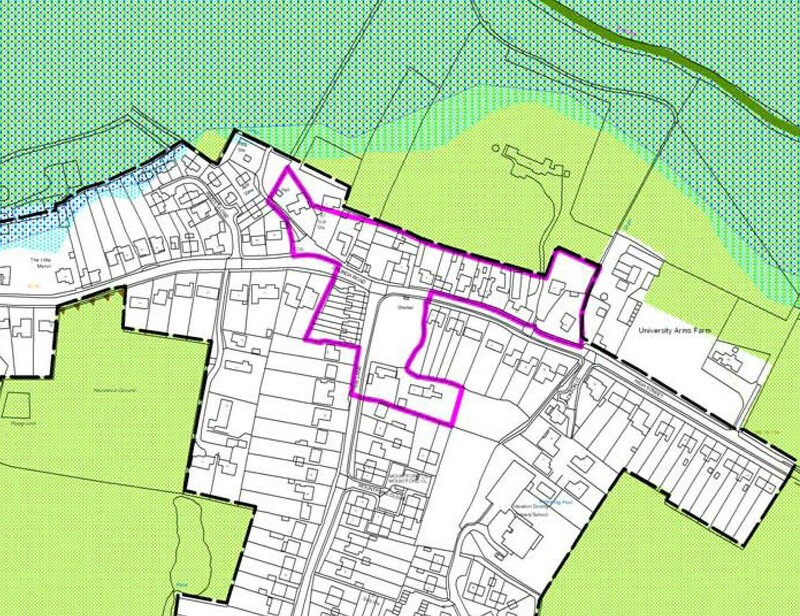 Map showing the Hauxton Conservation area, marked with pink line.